With its theme park attractions, musical revues, mini golf courses and souvenir emporiums, Pigeon Forge aims squarely for fun, showmanship and fantasy. But if you dig a little deeper, Pigeon Forge is more than just a neon-lit tourism destination en route to the Great Smoky Mountains National Park. Several historic sites, excellent live music venues and the superb and tasteful Dollywood (reason alone for lingering) provide an authentic touch to the quirky and colorful attractions found along the 6-mile parkway that runs through town. Some 36 miles southeast of Knoxville, Pigeon Forge lies on the six-lane strip of U.S. Route 441, also known as the “Parkway,” which connects Gatlinburg (7 miles southeast) and Great Smoky Mountains National Park to the south. On average, there are 206 sunny days per year in Pigeon Forge, with July highs averaging 88 degrees. It’s also a popular location during the fall and spring. With its profusion of flora and fauna and infinite opportunities for outdoor recreation, Great Smoky Mountains National Park needs little introduction. Just 10 miles south of Pigeon Forge, the park is laced with 800 miles of hiking trails that offer excellent wildlife viewing and deliver the region’s tourist-brochure images of undulating mountains and forests enshrouded with mist. To escape the crowds, head to the northeast backcountry, where hiking trails lead to the park’s highest lookout point, Clingmans Dome, at 6,643 feet. With thousands of miles of waterways, the park is a magnet for anglers and rafters. Nantahala Outdoor Center offers novice and intermediate rafting trips on two sections of the Pigeon River. A half-day excursion on the Upper Pigeon delivers thrilling Class III rapids along with gorgeous scenery, while families with children can embark on a tranquil float along the gentle waters of the Lower Pigeon. 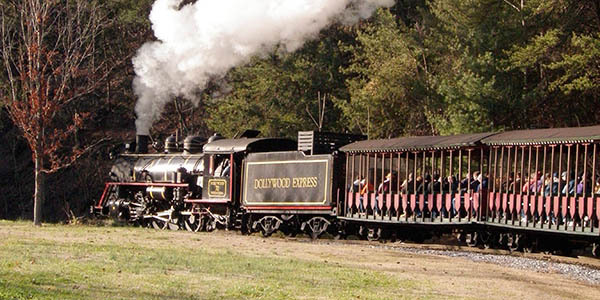 Founded by country music legend Dolly Parton, Dollywood is the region’s calling card. Rounding out the fabulous tributes to Parton’s significant musical legacy, Dollywood’s sprawling 150 acres feature a tasteful array of family-focused attractions, including rides on a steam locomotive, superb live shows at the Back Porch Theater, historic buildings that host demonstrations and workshops, and white-knuckle rides. On the main strip in town, the Titanic Museum Attraction’s 400 dizzying artifacts fill a half-scale replica of the ill-fated RMS Titanic. After receiving a replica boarding pass of a Titanic passenger or crew member, visitors embark on a self-guided tour that allows for appreciation of the Titanic’s decorative crowd-pleasers, including the grand staircase, as well as interactive and educational features. Touch an iceberg, try to stand on sloped decks, dip your hand into 28-degree water and more. With millions of tourists passing through each year, the Pigeon Forge area is a magnet for top musicians and artists. The family-friendly Smoky Mountain Opry adds pyrotechnics and laser lights to a music variety show of rock tribute bands, country classics and Motown. The Country Tonite Theatre features classic country music as well as modern renditions in a lively, family-friendly setting. Feel like taking a selfie with a celebrity? You’ll have your chance at the Hollywood Wax Museum, where you can rub elbows with the wax-made look-alikes of some of your favorite screen stars, including John Wayne, Brad Pitt, Marilyn Monroe, Charlie Chaplin and Elvis Presley. Speaking of the King, the Elvis & Hollywood Legends Museum is the place to pay homage to this rock ’n’ roll legend, who also happens to be a former resident of the Volunteer State. Many of the items Elvis lavishly bestowed on his friends during his lifetime are now part of the museum’s extensive repository of personal items and autographed memorabilia. Items on display include the legend’s luxury cars and signature pieces from the over-the-top wardrobe that the King wore during his Vegas shows. In March, the Mountain Quiltfest celebrates the Smoky Mountain community’s passion for arts and crafts with a five-day festival dedicated to quilting. Dollywood plays host to the stellar Festival of Nations, which runs March through April and features international music and dance talent from around the world. 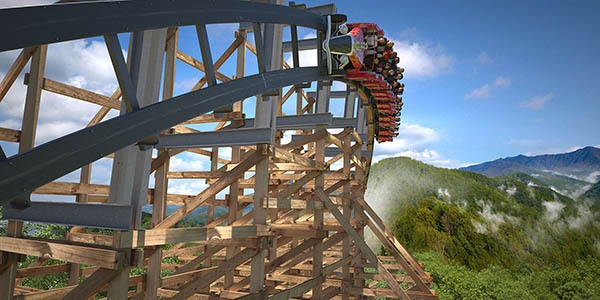 Also at Dollywood, the Barbecue and Bluegrass Festival in May and June is one of the area’s most popular festivals, with delectable Southern barbecue combined with bluegrass music at more than 250 concerts. All summer long, the Smoky Mountain Tunes and Tales street festival celebrates regional musicians, storytellers and artists who reenact period classics from the last 200 years.